A FOOTBALL player whose career was ended by illness is dreaming of a comeback after revolutionary treatment. 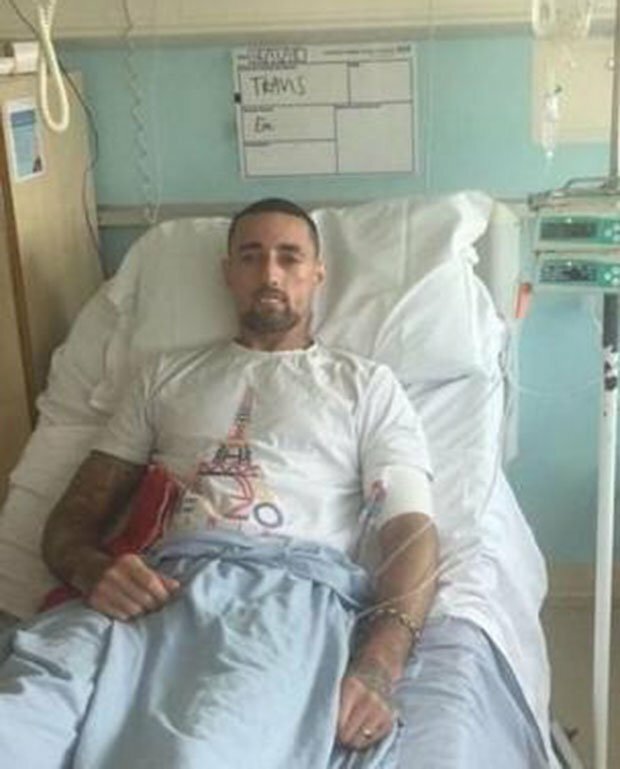 Travis Munn was on the verge of the first team at Mansfield Town when he was diagnosed with the degenerative auto-immune disease scleroderma. The life-threatening condition causes skin to thicken and can lead to problems with organs and blood vessels. Travis said: “When I was diagnosed they said, ‘You will inevitably die but we can’t say how long you have’. He first started noticing something was wrong in 2014 while he was a young player trying to make a career at League Two Mansfield. He began to get ulcers on his fingers and feet and the skin on his face and hands tightened, reducing movement. After many tests, Travis was told the devastating news he had the rare condition. The disease progressed to the point where he struggled to climb the stairs. He went on: “Everything was getting worse and worse – the breathing, my heart, walking and doing daily tasks.” Travis was transferred to non-League Boston United and then Boston Town before he gave up football in 2016. But he discovered a clinical trial involving a myeloablative autologous hematopoietic stem-cell transplant was being held at the London Royal Free Hospital. It used chemotherapy and radiation to destroy bone marrow followed by transplantation of his stem cells. And following five weeks of “brutal” treatment – ending just before Christmas – Travis is making progress. It is hoped the transplant will modify or reset his immune response to stop the disease progressing. He added: “The doctor already said my heart has started to improve, my skin has started loosening and my breathing has got better.” Travis said wife Harriet, 28, and daughters Freya, five, and Bella, three, were his biggest motivation to fight on. He added: “My wife has been with me every step of my way and we have two beautiful kids – that’s the biggest reason I won’t give up.” Back at home in Long Eaton, Derbyshire, he has started dreaming of the future. “If I can, 100% I will go back to football,” he added.